I changed the blend mode of a layer and then applied a black mask. It was all pretty easy and went like I expepected. I wanted to use a white brush to selectivly add parts back to the image and this when the fun began. I couldn't find an easy way to change the brush color so I could work on the mask. [ D & X didn't seem to work] I need to go back and watch some tutorials or read a manual. I think X will toggle the background/foreground colour. You can select the brush color in the same way as you would if you were painting with it on any other layer, using the Color or Swatches Studio panel. 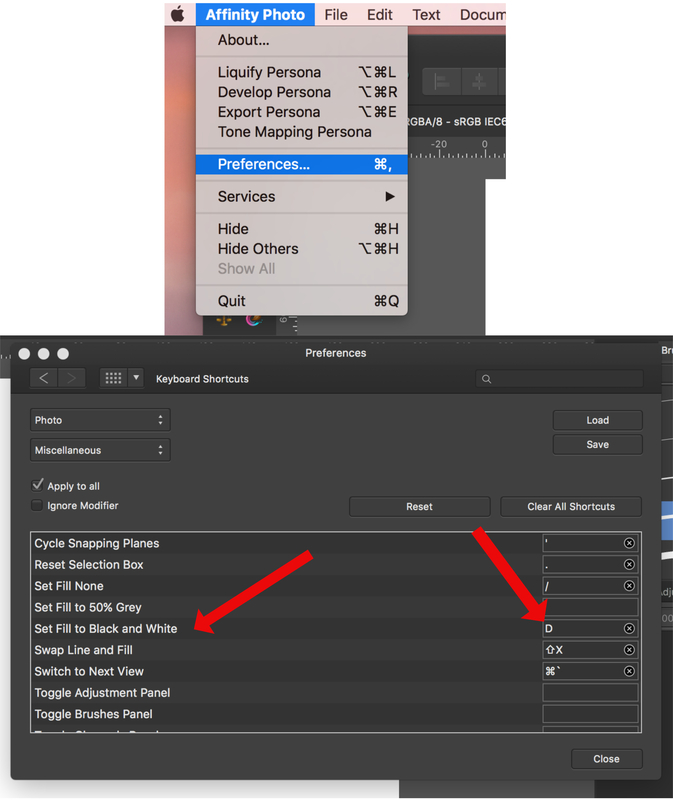 For painting on a mask layer, all that matters is the lightness/grayness of the selected color, so for example using the Swatches panel set to the default Greys palette allows you to quickly choose from black to white in 5% grey increments to control the opacity of the mask. I posted it because I could not post images. I want to eliminate white mats in the arms and hair part. One way is to magnify and carefully adjust with a brush. But, is there a smarter way? Even if you select a person or select a background, you can not select a boundary line. I would appreciate it if you would give me some advice. Normally, the way I would try to do this is with the Selection brush & the Refine option. But, assuming the bottom, hidden layer in your attached file is the original photo, that won't do much because its resolution is too low for that (not enough pixels to clearly define the thin wisps of hair) & there is quite a bit of color noise in the pixels in that area & around the arm. If you have a higher resolution version of the photo -- say at least 4000-6000 px wide, but more would be better -- maybe try starting with that & using the Selection brush & refine the selection in the problem areas? I tried Selection brush & the Refine option in various ways with reference to your advice. However, good image was not obtained with this image. I noticed that there was a way to select boundaries when trying various methods. In this case, white pixels exist inside and outside the boundary line, so we chose the center 2 pixels. It is OK to paint it black in this state, but in this case I felt that my arm was scraped too much, so I painted it with the copy brush tool. The place where the arm and the hair line intersect also became a natural feeling of the copy brush tool. The hair part is so fine that I can not do it well so I painted only the fine hair part black and tried it with transparency. Please tell me if there is a better way.